Very Good. 0743408217 ALL BOOKS SHIPPED WITHIN 1 DAY OF PURCHASE! This is suppose to be first in the series and if the rest of the series is as good as this book it will awesome. A good read!..worth every minute. Great storyteller...wonderful detail and action. We get to read the mind of our hero and his foe. The action moves along at a nice clip, the details of the White House put you there. The other charcters are well drawn out, and even when they are killed or die a chapter later, you feel for them or understand them. This is worth reading just for the insight into the White House. An action fan will not be sorry. I enjoyed every minute of "Transfer of Power". This is the first Vince Flynn book I have read. Heard a lot about him from others and it did not disappoint. GREAT book. Do yourself a favor and read it. 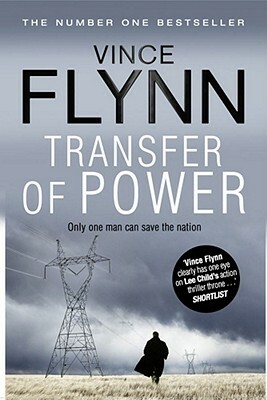 An excellent book, as is every book by Vince Flynn! Rapp series!!! If you like intrigue you will like this book! !